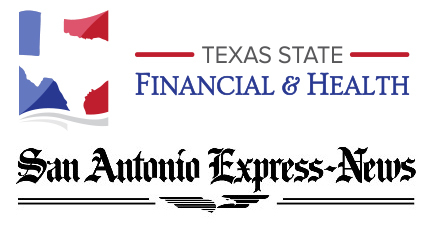 Justin Holland of Texas State Financial and Health and some local clients visited with the health care reporter Peggy O’Hare of the San Antonio Express news business desk. The featured article was posted in the January 11, 2016 Business section of the paper. Texas State Financial & Health is based out of San Antonio, Texas but protects individuals, families, and businesses all over the state. This article re-enforces the reason why the many agents associated with our company will be pulling out of the individual health insurance market and focus on other industries. We took a risk by investing our time, money, and effort with establishing Texas Sate Financial & Health. We worked very hard to help individuals/families compare along with enrolling into their Health Insurance since 2013 when ObamaCare kicked off its first enrollment. Texas State Financial & Health will continue to assist our current individual health insurance clients but will not be excepting anymore individual health insurance clients come January 31st 2016. It has been very difficult to stay out of the politics regarding the Affordable Care Act and we honestly kept from being critical and just worked through the chaos, but if this law is not seriously reformed or possibly repealed then it is going to cause an even larger disruption for the industry and anyone that is needing affordable health insurance coverage. Make sure to visit the article linked below. Texas customers who hoped to renew their PPOs in 2016 were in disbelief when they learned that option had been eliminated, said Justin Holland, the owner of locally based Texas State Financial & Health and a member of the San Antonio Association of Health Underwriters.